Marsala is a murky maroon color and it has been named as the color of the year by Pantone. The red/brown tone is set to be every where this year. Even if you are not one of those people who likes to follow every trend you can keep your wardrobe up to date by adding a splash of this color. Marsala is almost a wine red but with an earthy undertone that makes it very versatile. Of course the designer items in this color are very expensive! Here are some Marsala Fashion Hacks for inspiration that are not expensive. Spice up neutral colored tops by teaming with marsala bottoms. 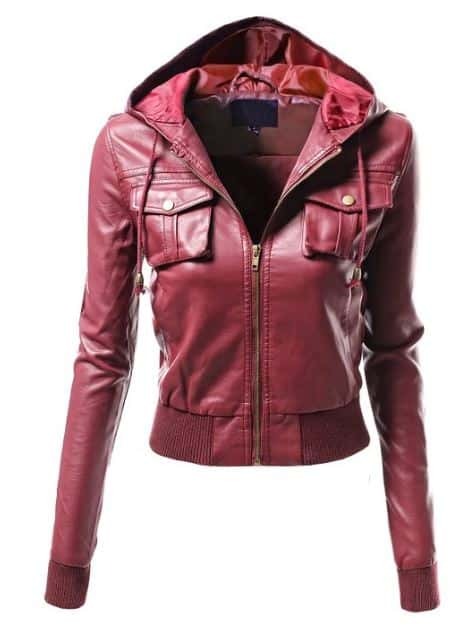 A Classic Cut Leather Jacket in this seasons number one color. With boots and/or other red shades. ^ Cashmere Scarf $36 by Ayurvastram. ^ PU Leather Leggings $23.99 by 80store. ^ Faux Leather Jacket in White $48.99 by Lock and Love. ^ Long Tank Top $8.95 by To Be In Style. ^ Red Wedge Boots $36.99 by De Blossom Collection.